Dubai, United Arab Emirates; February 14th: Jaguar Land Rover is expanding its Ingenium engine family with a new six-cylinder petrol engine designed and engineered in-house, and manufactured at its £1 billion Engine Manufacturing Centre (EMC) in Wolverhampton, UK. 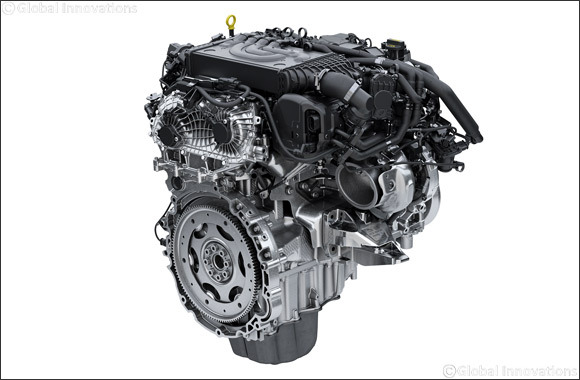 The 3.0-litre straight six cylinder petrol engine, which will debut on the Range Rover Sport, is available in 360PS and 400PS versions with a torque capable of up to 495 and 550Nm, is more responsive and better balanced than the outgoing V6 petrol. power and help the engine to breathe with maximum efficiency. The new Ingenium engine has been designed and developed in-house and will be manufactured at Jaguar Land Rover’s £1 billion EMC in Wolverhampton, alongside the current four-cylinder petrol and diesel engines. The 200,000 sqm site is a ‘zero waste to landfill’ facility with everything used being recovered and recycled. Jaguar Land Rover sources 100% renewable electricity for its UK facilities and over 21,000 photovoltaic panels are installed on the roof of the EMC plant, allowing it to generate up to 30% of the site’s energy. The EMC is fitted with state-of-the-art equipment featuring precision manufacturing technology, including machinery that can work to tolerances of three microns (a human hair is 50 microns). Jaguar Land Rover wants to enable customers to make an informed decision on the best Ingenium engine technology for how and where they drive, whether that is fully electric, hybrid, petrol or diesel. The company’s latest diesel and petrol cars are amongst the cleanest in the world and meet the new regulated laboratory and real world tests (WLTP and RDE). They are EU6 compliant and can be driven anywhere, and are, for example, exempt from London’s Ultra-Low Emission Zone (ULEZ) daily charge, which applies from April 2019.